Millet is sixth among the world's most important food crops, but in America, it has been used primarily as animal fodder or birdseed. That began to change in the late 20th century, as its nutritional quality came to be better understood and valued. It can be cooked in much the same way as rice, with or without pre-soaking. Millet is an important food crop in the world's hot, arid countries, because their tolerance of heat and drought allow it to flourish where other grains will wither and die. 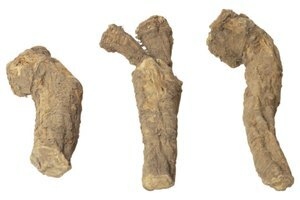 Although it is often scorned as a subsistence crop, or "poverty food," it is a highly nutritious grain. 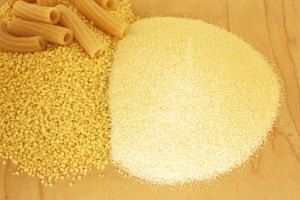 The protein content of millet cultivars can range as high as 16 percent, and it has more oil by weight than corn does. Millet is more digestible than many other grains, and is often among the first solid foods given to infants. As with any grain, a cursory rinse before cooking is a good idea, if only to wash away any loose starch that might cause it to be sticky when cooked. There is no intrinsic need to soak millet. Unlike sorghum, it contains no bitter tannins, and unlike quinoa, millet does not protect itself with unpalatable saponins. However, there is no reason not to soak millet, and many traditional preparations begin by doing so. Soaking millet overnight in cold water, or for an hour in hot water, speeds the cooking process considerably. Although small, millet seeds take approximately 30 minutes to cook in boiling water. This is less time than brown rice, but significantly more than white long-grain rice. Overnight soaking can reduce the cooking time of millet down to as little as 10 minutes. Soaking also permits whole millet to be added to breads, which otherwise would not cook the grain adequately. 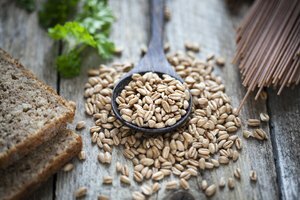 Soaking grains long enough to begin the germination process, then drying them for later cooking, produces a part-cooked product called groats. Groats are more nutritious and digestible than the grain itself, because the germination process begins to free up sugars and nutrients in the grain. Carried further, until the grain begins to sprout, produces malted millet. The malt will ferment readily, and can be used either to cook porridge, to make naturally leavened flatbreads or to produce millet beer. 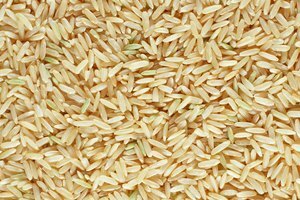 What Is GABA Brown Rice?